Over the past year and a half since starting our featured rescue program, we have been able to help different organizations across the USA! We have heard from many rescues about how our donations have been able to pay for costly medical bills, provide food, supplies, keep doors open, and so much more! We are so thankful to all of our great customers and fans who help to keep our business going and so we can continue giving back to our furfriends in need! This month we are taking our efforts up to Oregon to help some WILD cats in need! We are animal lovers and want every animal to have a good life. So why not help out some BIG CATS! This rescue works hard to make sure their residents live out a good and healthy life. The WildCat Ridge Sanctuary is home to Tigers, Cougars, Bobcats and MORE! This month we have taken our efforts to a rescue that is attempting to take their grassroots efforts and put an end to kill shelters! Thy believe that EVERY paw is worth saving and deserves love! Not only do they make an extensive effort in rescuing animals and finding them forever homes, but they also strive to educate the community about animal welfare, rescue and protection! This is a rescue like no other, they are focused on keeping owners with their best fur-friends. We all know that the cost of pet care can get very expensive, and unfortunately hardships happen. For the Love of Pets was founded to help during those hardships to make sure people don't lose their best four-legged friend. Happy St. Patricks Day Month! Now Let's team up to bring a little luck to some families in need, so they can keep their fur-friends! The power of a cat’s purr can be pure magic. Cats have evolved to be multi-functional creatures, and purring is one of their survival mechanism. Scratching marks territories, communicates conflicted feelings, and maintains claw health. 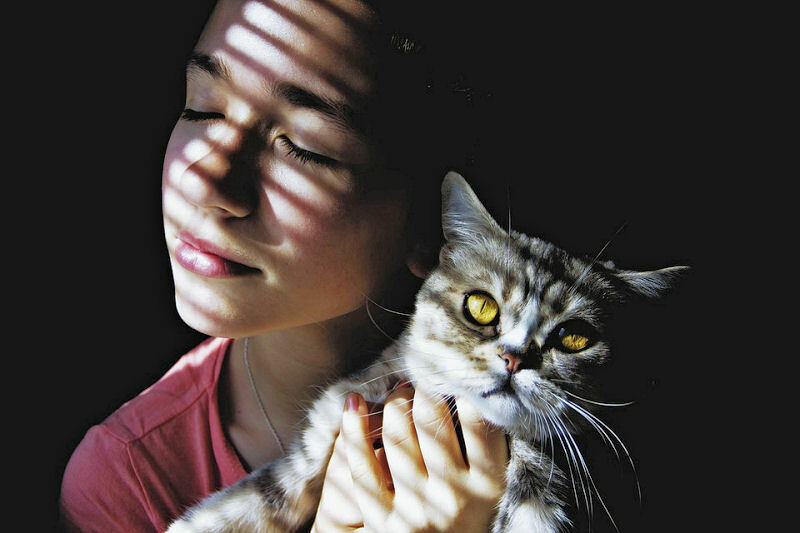 Whiskers broadcast moods, feel wind directions, and help cats navigate. Purring helps newborns kittens survive, promotes kitty and owner healing, and is also a communication tool. "You Can't Own A Market"
Great Article by Carol Pogash in the NY Times! OAKLAND, Calif. — Why drink alone when you can drink with your pet? The question comes from two competing start-ups in the unlikely product category of faux wine for cats (and, to a lesser extent, dogs) that comes in miniature bottles with cutesy names. No alcohol is involved (think liquid catnip). But already the company that brought its products to market first, Apollo Peak — which calls itself “the original cat winery” — is accusing its newer competitor, Pet Winery, of being a copycat. Both ran discount promotions for Valentine’s Day. Both have come up with clever names for their products: For $11.95, people can buy Fluffy an 8-ounce bottle of Catbernet or Pinot Meow from Apollo Peak, which is based in Denver. Or for $14.95, they can pour 12 ounces of Meow & Chandon from Pet Winery of Fort Myers, Fla. The Fort - February Featured Rescue! Check out this clip from "The Chew" featuring our Pet Wine and Pet Champagne! We are so excited an thankful! Thank you to The Chew Family!